Mumbai Indians recently beat Rising Pune Supergiants in a high-voltage IPL Finale on 21 May. Subsequently, MI’s star all-rounder player Krunal Pandya was awarded as Man of the Match. The entire team of MI was busy in this grand celebration along with colleagues. Meanwhile, a good looking girl ‘Pankhuri Sharma’ caught the attention of netizens holding the winning trophy in her hand. This girl is ‘Pankhuri Sharma’ who is none other than the fiance of Krunal Pandya. 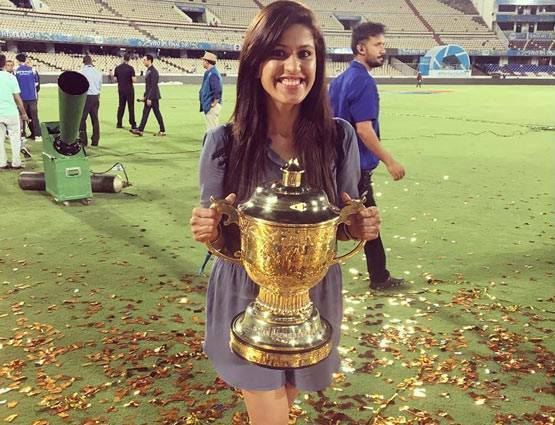 Pankhuri Sharma shared pictures holding IPL trophy on her Instagram account. She is a well-known professional model of the fashion industry. 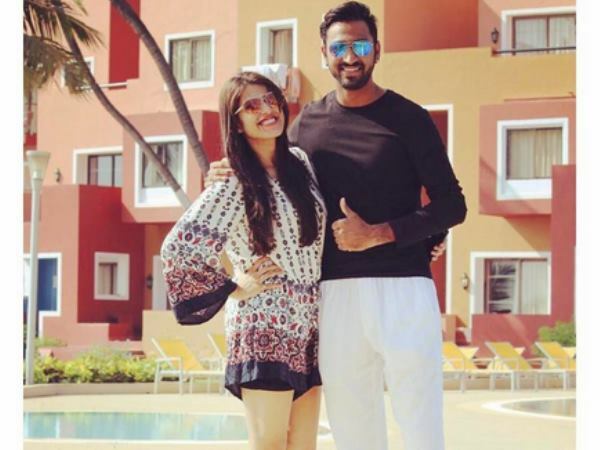 Pankhuri has uploaded many images of her with Pandya in recent times. According to some close ones of the couple, they both are set to tie the nuptial knot in the coming December. Krunal phenomenal performance in IPL finale made him ‘Man of the Match’. His 47 off 38 balls helped the MI a lot to post a decent overall total against Pune. In this IPL season, he got ten wickets having the best figure of 3/14 in an individual match. Also Read: Do you know how much Indian Cricketers earn? Pandya brothers had recently purchased a flat in Mumbai. Hardik is IN for Champions Trophy while Krunal is still struggling to get Blue Brigade’s jersey. Hardik Pandya had also seen along with a mystery girl ‘Shrishti Chamola’ a few years ago. However, they were just family friends. NextTop 5 Gorgeous actresses in Bollywood who will make you awestruck!